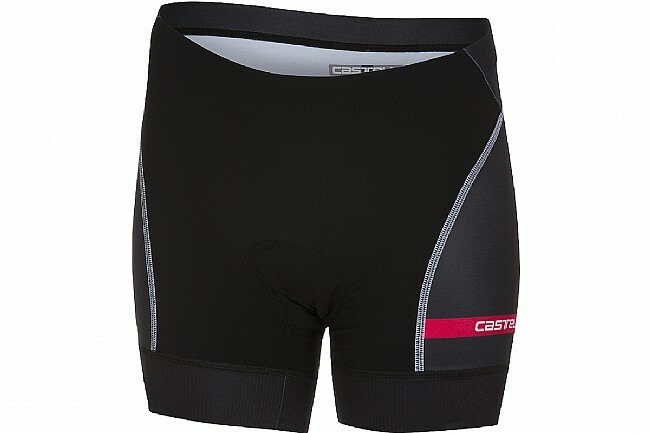 Casteli's Women's Free Short Short features a low waist and shortened inseam. Its made of Instadry Speed fabric, which is quick-drying and anti-absorbent. The Kiss Tri chamois delivers on-bike comfort and maintains a low-profile while running. Flat-lock stitching prevents chafing and gripper elastic stabilizes the fit.